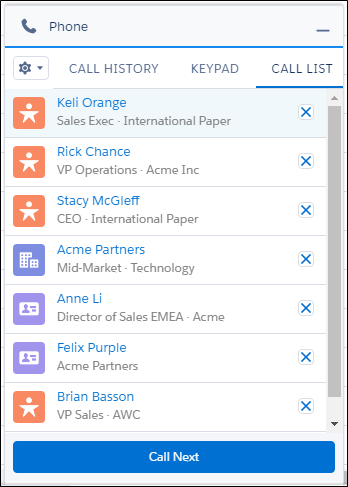 Use Lightning Dialer to access telephony features without ever leaving Salesforce. Make and receive calls, add call notes, and log call information with ease. It just takes a single click from phone number fields in Lightning Experience, such as numbers on contacts, leads, and list views.